What is a social media firm worth? Following how retail investors pay attention to company tickers is one piece of the puzzle. In a new study published this week in International Journal of Economics and Finance, a finance scholar from Michigan Technological University delves into the pricing behavior of social media firms. The study found that investors pay attention to social media stocks over other company stocks. 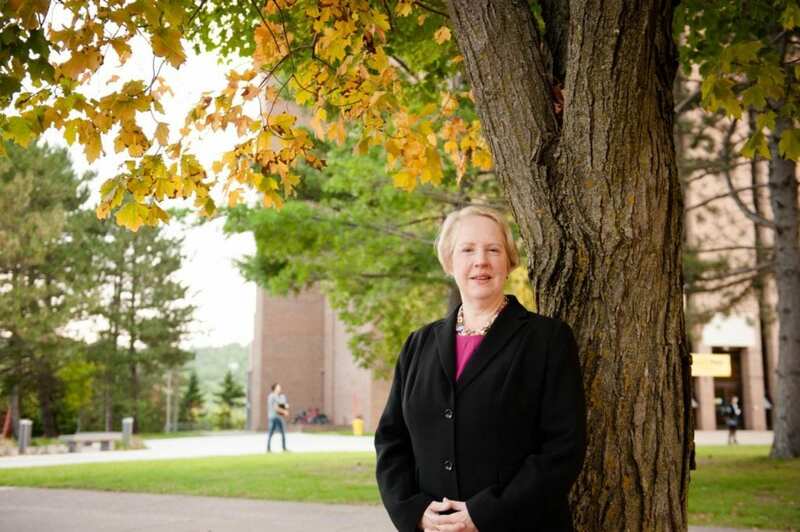 "There are so many things that swirl around social media firms that make them inherently interesting to research," says Heather Knewtson, assistant professor of finance in the School of Business and Economics at Michigan Tech. "These are publicly traded firms, but also private entities. They decide their own corporate strategy and users decide whether their social platform is attractive." Knewtson and her co-authors, Wan-Jiun Paul Chiou from Northeastern University and John Nofsinger from the University of Alaska Anchorage, explore the question "What is a user-generated platform of talk worth?" Knewtson cites media disruption, privacy issues and data mining as facets that draw researchers to study social media companies. For Knewtson's purpose, a social media firm goes beyond the big name chatterboxes of the internet. While Facebook and Twitter are clearly social media–online sites with dynamically updated and user-generated content–there are plenty of other digital spaces that are less obvious. Social gaming sites, like Activision Blizzard and Electronic Arts, made up nearly half of Knewtson's sample. "I think it's really a function of the way technology has disrupted things–that we have a hard time classifying and understanding this. I don't think our classification will catch up, especially as we sit on the cusp of the Fourth Industrial Revolution," Knewtson says. The disruption won't stop the market from placing a financial value on companies that go public. "It's useful to understand the pricing because there are firms that will want to enter this space and investors want to know what these firms are worth." That's not to say social media and social gaming are the same; media creates alter egos and games generate avatars. As the team writes in their paper, "Social networking spaces are believed to have a higher degree of self-representation than social gaming spaces. For example, posting in a Facebook news feed offers highly personalized information about the author (and possibly the friends who the author chooses to include in the post), whereas participating in multi-player online gaming has less flexibility for specific personalization. Your picture sends different information than does your avatar. " The first step in determining how to price a social media firm then is figure out who cares in the first place. In their International Journal of Economics and Finance paper, the team first focuses on retail investors–that is, investors who don't have access to large financial databases like investment professionals, and rely instead on a Google search. "If I'm searching for a firm's ticker–the three-digit or four-digit code that uniquely identifies the entity–then I'm obviously looking at that firm from a financial perspective, perhaps considering the stock for inclusion in my portfolio," Knewtson explains. "We can place our finger on the pulse of what investors are paying attention to–and they pay attention to social media stocks over other stocks." Search volume rises and falls depending on how much attention investors pay to different companies. It's only one signal of many related to price fluctuations, but investor attention provides a direct window to investor interest in a firm. Keeping tabs on investor attention will help gauge the worth of networking and gaming platforms to determine the price of social media firms.